What an incredible few days! All the preparation and hard work really paid off and our students got some fantastic results: Lilly O'Brien, in a very competitive section of the event coming in 4th for Jazz solo and Luke Walsh placing 6th in his. Emma Murphy and Katie Gallagher garnered a 2nd place in Under 19 duets, and our Intermediate A Dance Company also placed 2nd in the U16 groups, for their performance to 'Young Blood'. 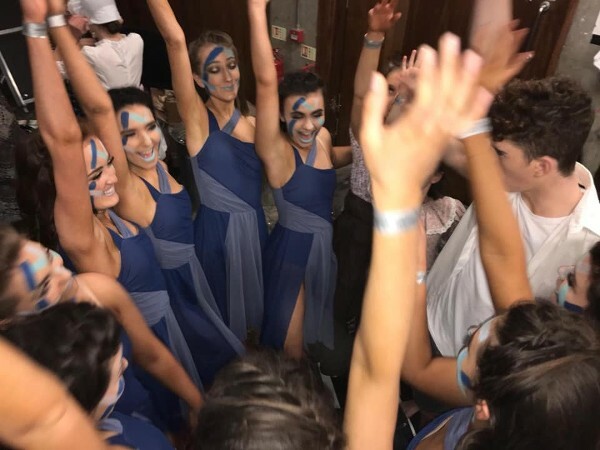 Our two first place victories went to a trio (Katie Gallagher, Luke Walsh and Shauna D. Murphy) and our Senior Dance Company who won overall first place in U19 Standard Group. We could not be prouder of every participant in this event and look forward to further competitions in the future, as a way to challenge and develop our young performers to improve their skills and talents. From the bottom of our hearts, thank you to the students who put some much time, effort and passion into their rehearsals and performances. Thank you to the parents who travelled with us to Belfast, and those shouting support all the way from Cork! Thank you to Ms. Lesley and David, our brilliant and dedicated choreographers and teachers. And a special thank you to Hollie Corkery who was extremely unlucky to be struck down with an injury days before the performance; she was a massive help to the Elite team and bravely soldiered on despite her disappointment at not being able to compete - next year, Hollie! Our senior student Jenny O'Gorman came to the rescue, learning one of Hollie's dances in just 24 hours. After hours of emergency rehearsal, Jenny blended into the piece seamlessly. We are so grateful for Jenny's efforts which stands for our team's new motto - we've got your back!